Most of us can remember when someone's well-timed words of encouragement made all the difference in our ability to press on. Chuck Swindoll urges us to pass the kindness on. Jesus came to earth with a clear mission in mind. Neither pain, betrayal, depravity, disinterest, or sin would deter His focus or sway His steps away from His ultimate purpose. Wondering what you can do as a dad to make the greatest difference in your child's life? Wonder no more, as Chuck Swindoll spells it out for you clearly and removes any doubt. What is it inside us that makes us want to do something even more after we're told we can't? Chuck Swindoll knows what it is, and he also knows the solution. When you project your future, what is it you fear most? A job loss? A certain diagnosis? A stock market crash? Chuck Swindoll speaks to those fears with some simple words. Do you see mostly fear and insecurities when you look in the mirror? Chuck Swindoll helps us keep our eyes on Jesus so our confidence will be in Him and in His purposes. Do you spend a lot of time surrounded by those who don't know Christ? Here's what Chuck Swindoll says will be sure to win the world's attention more than anything else. Are you afraid that if God really knew you He would disapprove of you? 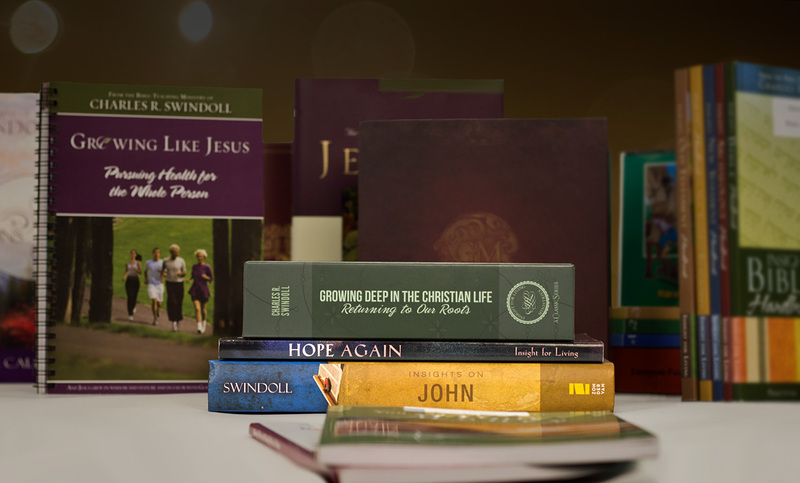 Chuck Swindoll wants you to understand what Jesus' death was all about. Sometimes we just can't stay silent anymore when opposition to truth seems to reign. After praying for wisdom and boldness, Chuck Swindoll says it's time to step in and speak up! How many years of walking with God and reading His Word does it take to finally figure out His ways and think like Him? Chuck Swindoll's answer may surprise you. Are you free to proclaim the name of Christ where you live? Chuck Swindoll does not take that freedom for granted and encourages us to pray for more to hear the gospel. Having trouble seeing the logic behind what God is allowing in your life? In this month's Video Insight, Chuck Swindoll helps us be at rest with mysteries. There are all kinds of prayers to fit all sorts of occasions. Chuck Swindoll mentions one that's always okay to pray to our understanding God. Maybe you've prayed it before. Are you always able to tell when you're veering a little off track? Is there someone in your life who will point it out to you? If not, Chuck Swindoll suggests you find someone. Each one of us faces our own kinds of temptations that threaten to lure us away from God's best for us. Chuck Swindoll describes sure ways to resist these lures. Do you want to give memorable Christmas gifts this year? Chuck Swindoll tells you how to give the best gifts, and it has nothing to do with cost or artistic packaging.